In addition to the technical factors which have brought on the financial crisis - the huge speculative bubble and leverage, derivatives, fractional reserve banking, spending beyond our means, etc. - there is another major factor. I have previously argued that the economy cannot recover until we restore trust in our government, our leaders and our systems. This essay provides further evidence in support of that argument. Imagine going to the corner store to buy a carton of milk, only to find that the refrigerator is locked. When you've persuaded the shopkeeper to retrieve the milk, you then end up arguing over whether you're going to hand the money over first, or whether he is going to hand over the milk. Finally you manage to arrange an elaborate simultaneous exchange. A little taste of life in a world without trust--now imagine trying to arrange a mortgage. There's a well-known myth in India about bodies in the river. Villagers notice a body floating by, and they take it out of the river and bury it. Then more bodies float by, and the villagers take them out and bury them. Soon, so many bodies are floating downriver that the village can't keep up. They run to the village elder to ask him how to fish all the bodies out. The elder tells them to stop fishing out bodies, and instead tells them to walk upstream to find out why bodies are falling in the river in the first place. He tells them that unless they stop it, they won't solve the problem. They do so, find out why people are dying and ending up in the river, and stop the whole mess. Politicians are acting like the villagers. Their spending trillions in bailouts and gaming the markets is like trying to pull bodies out of the river and not being able to keep up. Until we "walk upstream" and see what is causing the slaughter of one segment of our economy after another, and stop it, things will get worse. Do You Care Who Carries Out the Next Attack on America? Just as many people have warned, a series of attacks using nuclear "dirty bombs" kills thousands of Americans. Government intelligence agencies point to Iran, China and Russia as the source of the attacks. The president and Congress set in motion plans for war against the 3 giants. A war which will undoubtedly cost tens of trillions of dollars, kill thousands of Americans, and cause untold misery for years to come. The Project for a New American Century cut America's stability short by almost a century. If the "New Pearl Harbor" that PNAC had so lustily recommended hadn't been allowed to "accidentally" happen, if its call for taking out Saddam and using preemptive war hadn't been carried out, the U.S. would still be solvent, and we wouldn't have created enemies all over the globe. China may still have overtaken us as the world's leader eventually, but we would have at least had a century to live relatively peacefully and prosperously. Instead, even before 2008, PNAC's agenda bankrupted America economically, socially, and spiritually. Bill Kristol is thinking of cranking PNAC back up. But there is not much of America left for him and the boys to destroy, since the original Project for No American Century succeeded so brilliantly. As President-elect, Obama is already receiving daily briefings from the CIA. There are many important questions which Obama could ask about, and which "normal" Senators and congress people wouldn't have the power or the security clearance to get answers to. But I believe the most important question is whether the continuity of government plans implemented on 9/11 are still in effect. Because - if they are - Obama would not be sworn in on January 20, 2009 as President of the constitutional American government, but rather as the powerless figurehead of an unconstitutional shadow government. Wouldn't that little difference make it important to find out one way or the other? Remember, the White House has specifically refused to share information about Continuity of Government plans with the Homeland Security Committee of the U.S. Congress, even though that Committee has proper security clearance to hear the full details of all COG plans. Many Americans are ecstatic that Obama won. They feel tremendous hope. The emotion is infectious, and is a lot more pleasant than the fear that's been raging across the country. But there is a bigger picture . 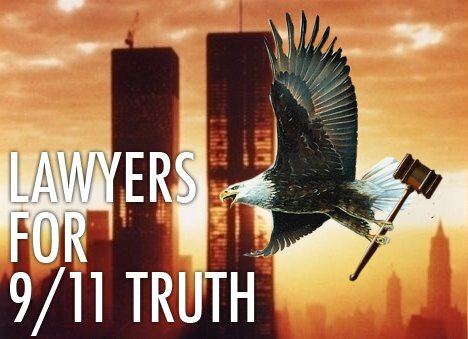 . .
An impressive, if small, group of lawyers has signed a petition calling for 9/11 truth at a new website called Lawyers for 9/11 Truth, at http://www.L911T.com. If you know any judges, law professors or attorneys open to 9/11 truth, send them that way. Why Lawyers for 9/11 Truth? Lawyers are trained to value the Constitution and the rule of law. Is Obama Serious About Protecting Our Liberty? Obama, a former Constitutional law professor, promised during his campaign to curb the unconstitutional practices of the executive branch. The Sec Def should similarly be someone who respects the rights of civilian populations. Our first order of business must be to pressure Obama to make decent appointments in these areas, in order to insure that liberty is restored. Now that a Democrat has been elected president, the Democrats in Congress have no excuse. They can no longer pretend that they have to "hold back" to win the election. Now is not the time for Democratic machine politics. Now is the time to implement true American values - cherished across the political aisle - of liberty and justice. There can be no liberty in America unless the tyrants who have tried to imprison us and enslave us are prosecuted. There can be no justice in America unless the high and mighty are held accountable for their actions. Some peripheral folks in the 9/11 truth movement claim that exotic high-energy weapons were used to bring down the Twin Towers. The overwhelming majority of credible scientists, engineers and others in the movement do not believe this. The proponents of the star wars weapons theory argue that video footage shows metal spires "turning to dust", which they think proves that futuristic weapons were used.